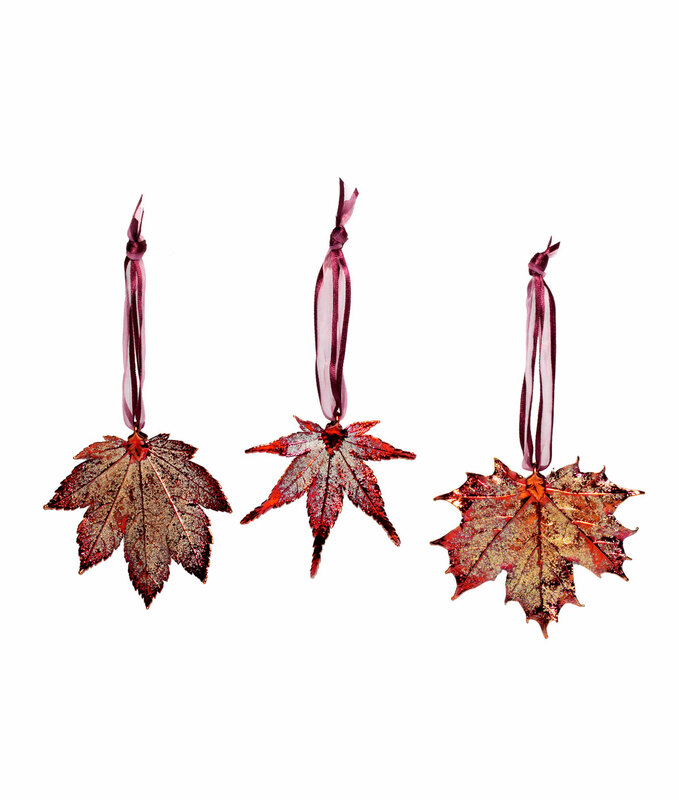 Three Maple Leaf Ornaments ($38) at uncommongoods.com. Leaves featured are full moon maple, Japanese maple and sugar maple. I used to make cards with pressed fall leaves. For the past few years, not so much. There are many reasons I could bore you with but really, it came down to the same reason I’ve stopped doing most things….time, or really the lack of. Or playing Free Cell or Words With Friends on my phone. But let’s go with lack of time. And sadly, no matter how beautiful the leaf, the color would fade, the leaf would crack and it would never really retain its beauty. And now that I have had Sadie, my city dog, I have discovered that chances are, many of those pressed leaves were, well, also covered in pee. Or should I say retained the essence of said pee. I know, gross. It never occurred to me living dog-less in a city that the leaves that fell from the trees were anything but pristine. Now, thanks to Sadie, her pooping and peeing are basically activities I have to schedule my entire life around. And because of that, I am realizing one should really choose wisely where they are collecting their fallen leaves from. The Arboretum? Pristine. The corner of Benning Rd and Oklahoma Ave., NE? Um, pee. Oh dear, I apologize for that there. So, any hoo, I stumbled on these beautiful leaf ornaments while browsing around the internet. Or really, researching on the internet. Okay, researching ways to get out of answering my email. Aren’t they pretty? Really, I would categorize them as pretty and pristine, very, very pristine. And there won’t be any fading or cracking happening either.